Justice Dept. unhappy with DEA agents Daniel Chong punishment. 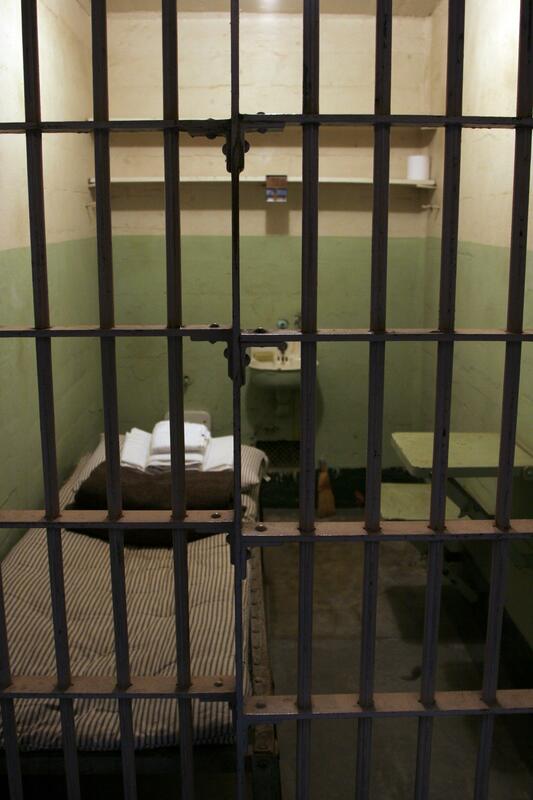 A prison cell pictured inside Alcatraz in December 2006 in San Francisco Bay in California. The Justice Department is not happy with the punishment meted out to federal agents in San Diego who arrested a 23-year-old college student, stuck him in jail, and then forgot about him, leaving him in his cell without food or water for five days. The DOJ said as much in a letter late last month to Judiciary Committee Chairman Chuck Grassley that was released on Tuesday. In the letter, the DOJ said it had recently discovered the Drug Enforcement Administration had in March wrapped up its internal investigation into the incident which took place in 2012. The outcome: Four of the DEA agents were merely given reprimands for the colossal, potentially career-ending error, and the fifth, a supervisor, was given a brief suspension without pay. Does the punishment fit the screw up? You be the judge. Here’s more from the Los Angeles Times on the arrest of Daniel Chong for marijuana that ended with the engineering student drinking his own urine to stay alive while locked in a cell for days. Daniel Chong was swept up in a 2012 DEA raid on his friends’ house, where he had gone to smoke marijuana. After an interrogation, he was told he would be released … Chong, who was never charged with a crime, was kept in total isolation with his hands handcuffed behind his back in a windowless cell with no bathroom, calling out periodically for help. Midway through the ordeal someone turned off the light in his cell, leaving him in darkness. When he was finally discovered he was delirious, with serious respiratory and breathing problems. He was hospitalized for four days, and he and his lawyers said at a news conference last summer that he underwent intensive therapy for post-traumatic stress disorder. [Chong] told All Things Considered’s Audie Cornish that the five days tested his sanity and his resolve to live. “I didn’t stay sane,” Chong said. “Eventually, by the second or third night … I went completely insane and was just trying to get a grip on reality, on what’s happening to me.” Chong said at one point he thought about using his glasses to cut into his arm and kill himself. Chong was never charged with a crime; the DEA formally apologized, and he reached a $4.1 million settlement with the government.